This is a special international issue. Look for our U.S. update, coming soon. Last week I stood at the edge of land and water in Southern California, the place of my birth. Looking out … remembering my first journey to Japan. In the spring of 1993, my trip began with an historic Deep Ecology tour led by Tamio Nakano and the Web of Life organization. We began in the far south in Yakushima and followed the cherry blossom front to Rokkasho in the far north, meeting with community leaders and activists. It was a watershed experience that changed the course of my life and work. In subsequent trips, I have been moved by the capacity of the people of Japan to transform immense suffering into inspired action. Hiroshima now stands as a city of peace, dedicated to nuclear disarmament. And Minamata, the world’s first entire city to experience environmental poisoning (by methylmercury), has become a robust global environmental education center. This fall, I welcome the opportunity to return once more to Japan, sponsored by a Fulbright Grant. I am thrilled with the possibility of again learning from and partnering with cherished friends and colleagues, and I eagerly anticipate the new connections and adventures to come. 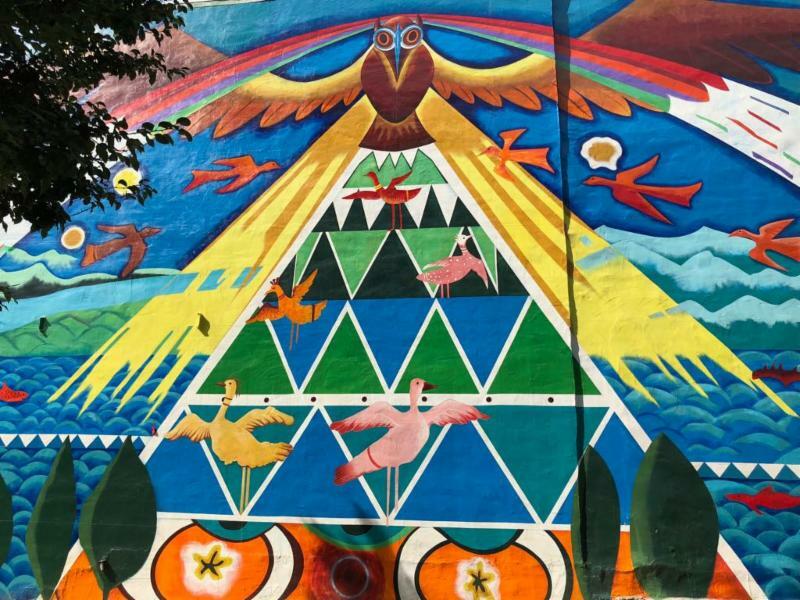 Breakthrough Communities ’ Paloma Pavel is the recipient of a Fulbright grant and will be participating this fall in a learning exchange hosted by Tokyo Institute of Technology, with Professor Tamio Nakano. We look forward to participating in the new Academy for Global Leadership, student seminars, and faculty development. We ’ve been fortunate to assemble an extraordinary outreach team/advisory council for this project! Many thanks to Dr. Jonathan London (UC Davis), Prof. Jon Funabiki (San Francisco State University), Phoenix Armenta (Resilient Communities Initiative), Richard Schulterbrandt Gragg and Felicia Davis (Historically Black Colleges & Universities Network), Craig Strang (Lawrence Hall of Science), Karen Cowe (Ten Strands / Environmental Literacy Project), Dr. Lowell Gustafson (Villanova University), Bruce Riordan (Climate Readiness Institute), Dr. Mary Nelson (Parliament of the World’s Religions), and the City of El Cerrito Environmental Quality Committee for their enthusiastic support for this adventure! We also want to acknowledge the following, whose work has inspired us deeply: Dr. Hiroko Hirada (University of Alaska ’s Montgomery Dickson Center for Japanese Language & Culture), Mayumi Oda and Kaz Tanahashi (artist/activists), Dr. Otto Scharmer (MIT), and Archbishop Desmond Tutu (RK Community Resilience Leadership Award; see below). 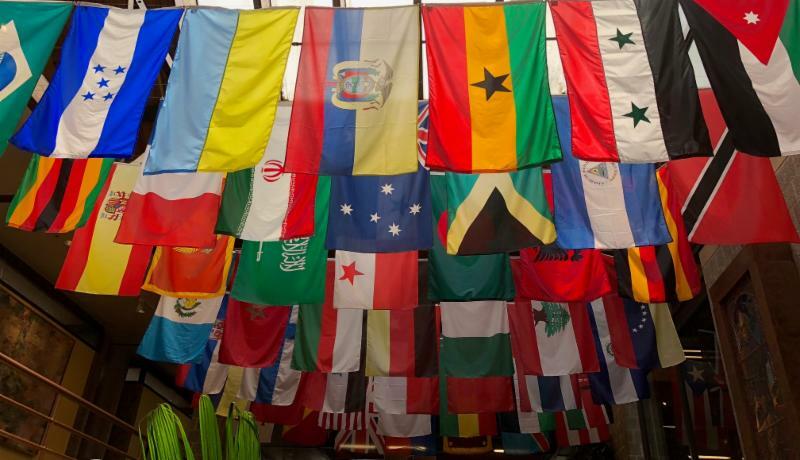 We also welcome invitations from other host countries (Nepal, India, Kazakhstan, UK) and institutions for 2- to 6-week Fulbright specialist placements for 2019-2020. 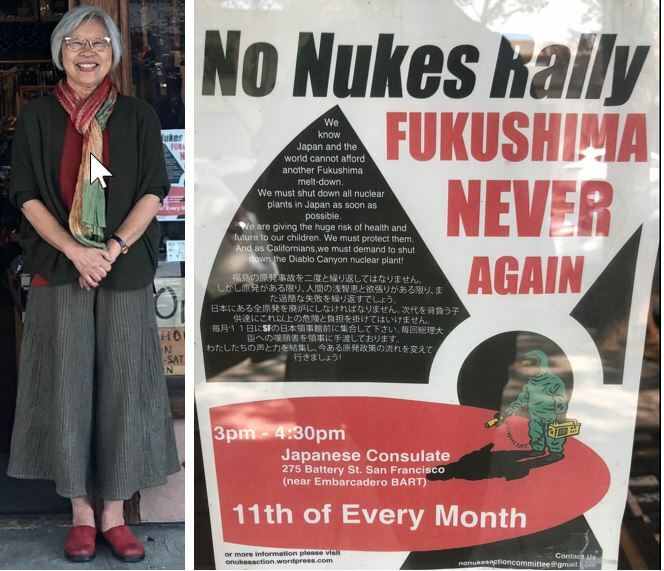 Chizu Hamada, U.S. Fukushima Activist, leads monthly demonstrations. Paloma’s Fulbright assignment begins on Yakushima island, a UNESCO world heritage site, with a planning retreat in nature. We will proceed north to Kagoshima, the Kyoto region, Okayama, and Tokyo, and will conclude with the Fukushima Learning Group. The Wisdom 2.0 event was an excellent opportunity to strengthen ties with our Japanese Fulbright collaborators during their visit to the San Francisco Bay Area. 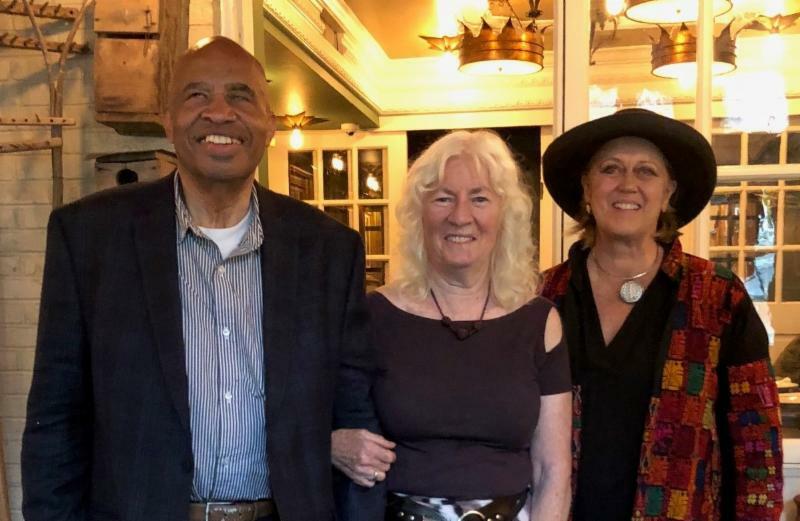 The event also provided the opportunity to meet with Zenju Earthlyn Manuel at Green Gulch Farm at Muir Beach, as part of the San Francisco Zen Center . 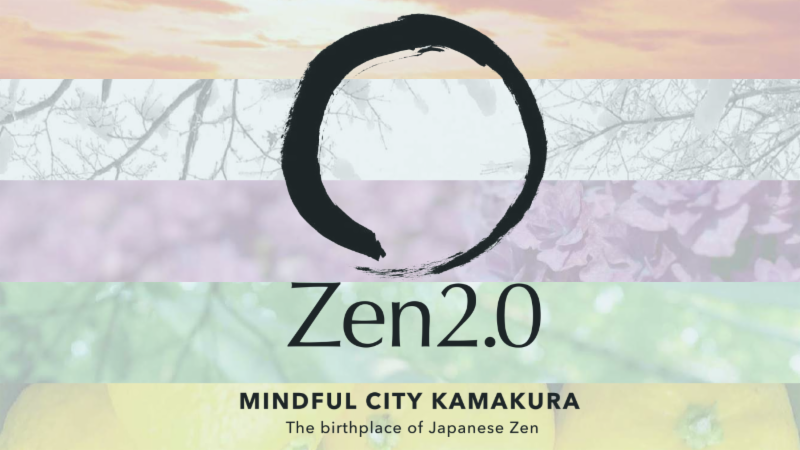 Groundwork was laid for Zen2.0 , which will take place in Kamakura, Japan, September 7-9. 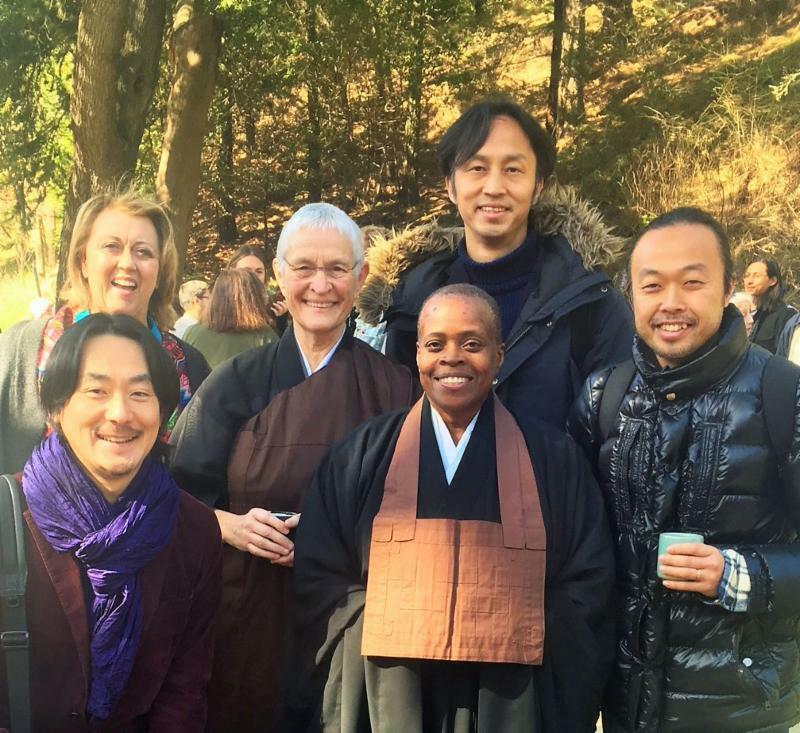 Kouiji Miki, Paloma Pavel, Roshi Fu Schroeder, Zenju Earthlyn Manuel, Mikio Shishido,Yuichi Yamashita. Dr. Pavel will be a guest presenter and facilitator for Zen2.0 hosted by Kouiji Miki, Mikio Shishido, and their team. Other U.S. faculty includes Stephen Murphy-Shigematsu (Stanford University) and Jeremy Hunter, PhD (Claremont Graduate University). Stay tuned as we continue to share developments in this exciting adventure with you. Rev. 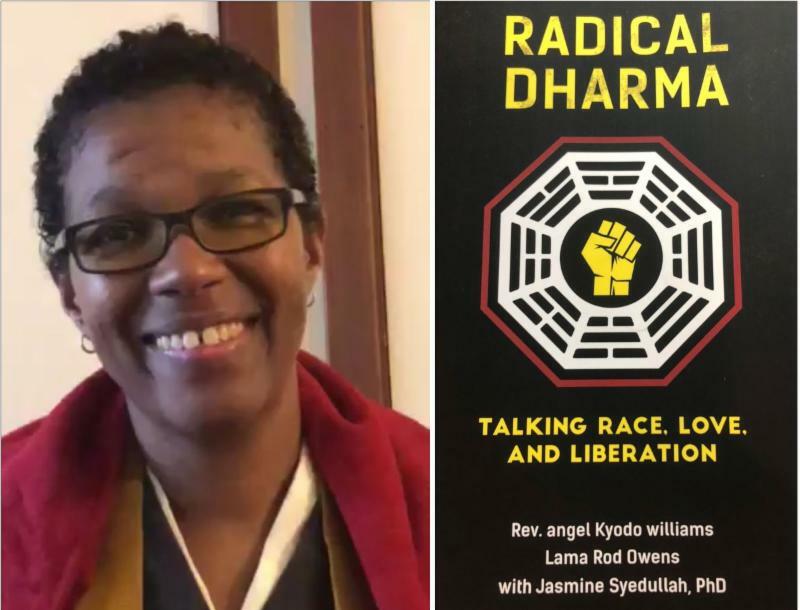 angel Kyodo williams is one of many U.S. Zen teachers Paloma has interviewed in preparation for Zen 2.0. 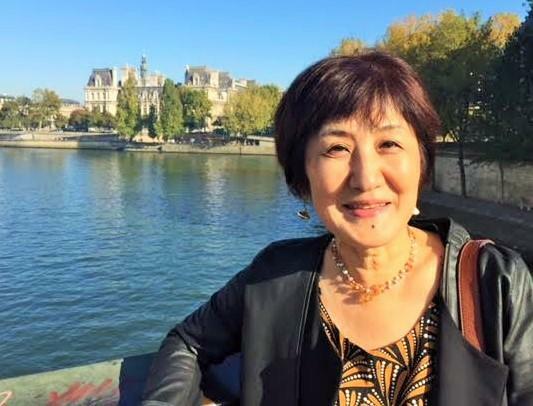 Introducing Etsuko Tada, our new Fellow at Earth House Center! We welcome your invitations to additional gatherings. 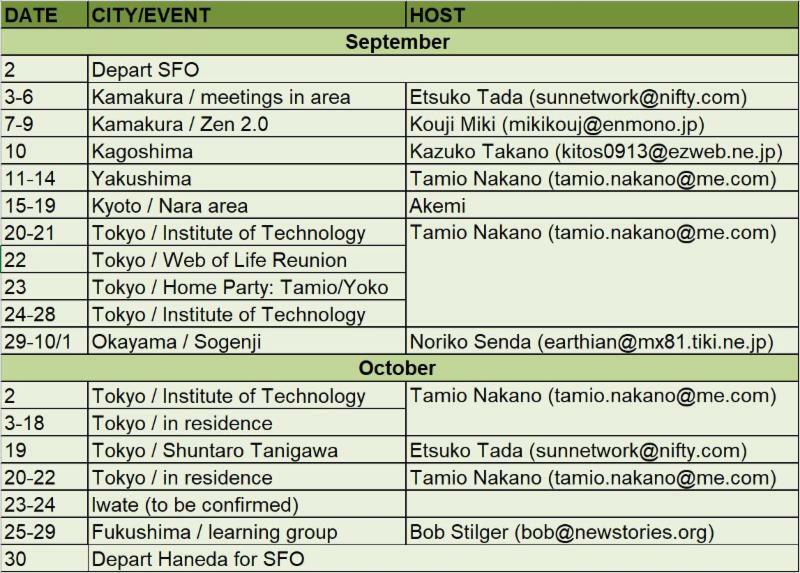 Please contact Etsuko Tada ( sunnetwork@nifty.com) to coordinate. The Universe Story and Big History present opportunities for the constructive framing of social and racial justice issues in a global context that is meaningful for social and racial justice around the world. The California College of Integral Studies (CIIS) hosted its third annual Religion and Ecology Summit in March. 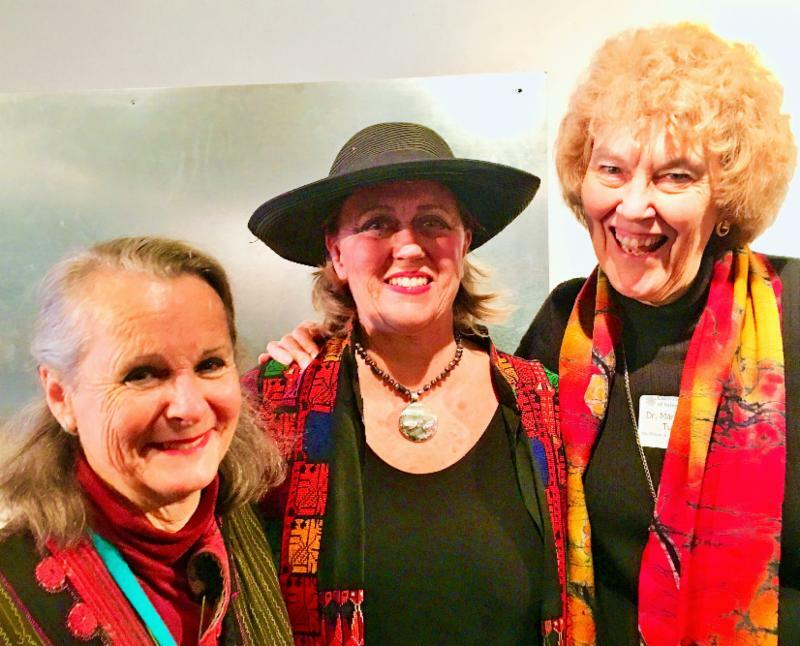 Presenters at the conference also included Susan Griffin, an eco-feminist trailblazer; Corinna Gould, a Chochenyo and Karkin Ohlone woman who created the Sogorea Te Land Trust; and China Galland, author of Women in the Wilderness and Longing for Darkness. The lively, interactive keynote address drew on the innovation of linking the Universe Story to racial, climate, and social justice over time. 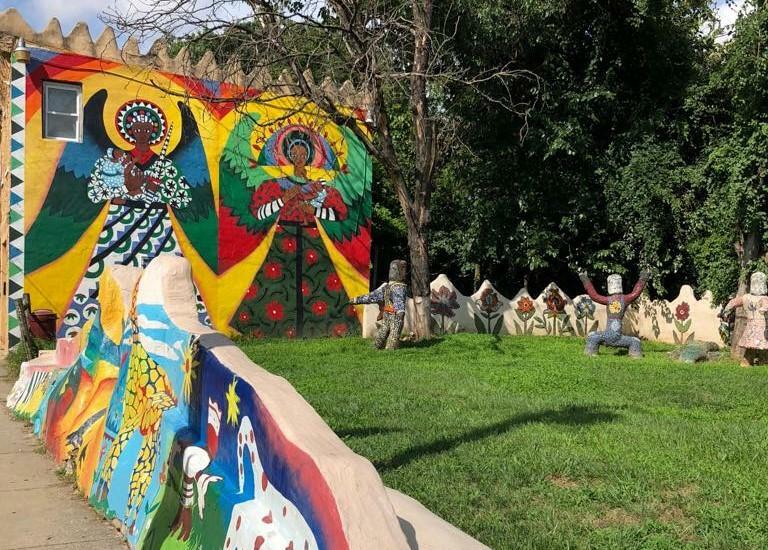 Arts and culture were woven throughout and provided whole-brain learning opportunities, including a “Walk through Time” and a poetry performance on our global water crisis by Symbiosis University students. 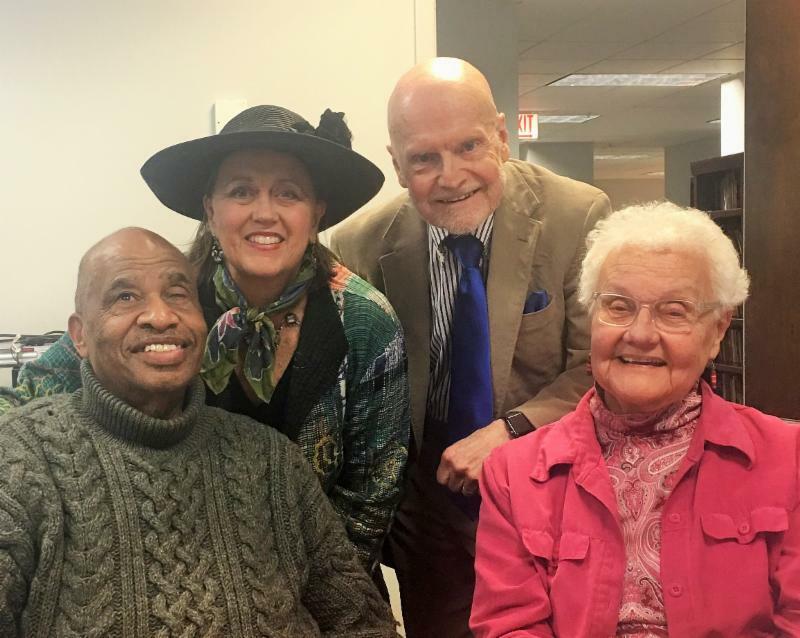 Other participants from the United States included Lowell Gustafson (President of the International Big History Association) and Lucy B. Laffitte (Secretary of the International Big History Association). Also in Pune, a group of scholars from J.F. 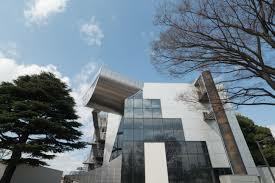 Oberlin University in Tokyo offered a new book by Nobuo Tsujimura: Big History Honwa (see photo). Pune serves as the home of Symbiosis Society’s Dr. Babasaheb Ambedkar Museum and Memorial. Dr. Ambedkar’s lifelong dedication and leadership to deconstruct India’s caste system and end the institutionalized marginalization of the dalit caste are legendary. His contributions to the struggle of the dalits is reflected not only in the subject matter of the memorial, but by the story of its very existence: The construction of the memorial was supported by donations made by dalits. Paloma presented a copy of Carl Anthony’s new book, The Earth, the City, and the Hidden Narrative of Race to the museum. This journey also included a visit to the Aga Khan Palace, home of the Gandhi National Memorial Society, where Gandhi was held under house arrest. Paloma was invited to meet Arun Wakhlu at the offices of Pragati Leadership, with his family and his team. Arun ’s interview with Paloma was featured by the Charter for Compassion. It was transmitted on the Web, along with the interviews of other global wise women, for International Golden Rule Day. 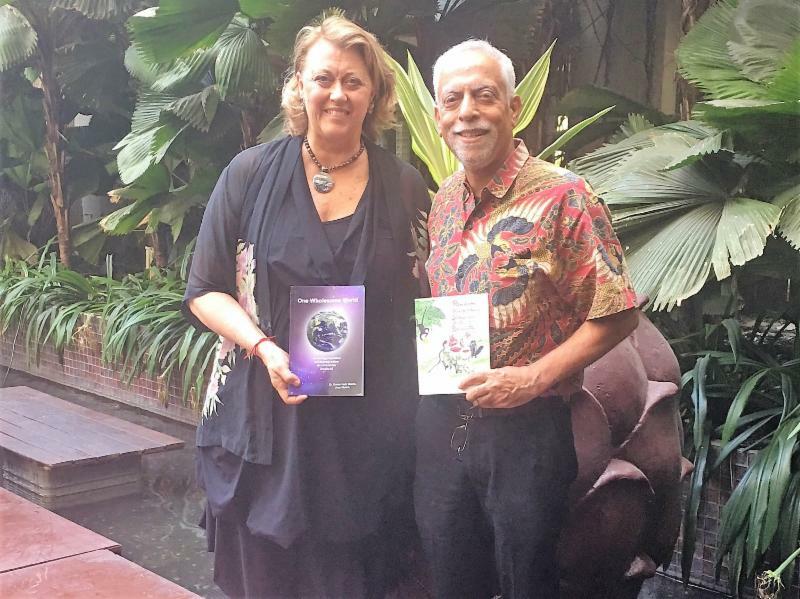 Our exchange offered a glimpse of the profound synchronicity at play in the global transformative consciousness that is emerging as we work to bring many communities together to create a more healthy, just, and sustainable world. We were thrilled to be hosted by Judy Wicks, former owner of the White Dog Cafe in Philadelphia. She co-founded the nationwide Business Alliance for Local Living Economies (BALLE) and founded Fair Food and the Sustainable Business Network of Greater Philadelphia. Philadelphia has special meaning for our work, both as one of the cities that figured prominently in the transatlantic slave trade and because Breakthrough ’ s Carl Anthony was born in Philadelphia. 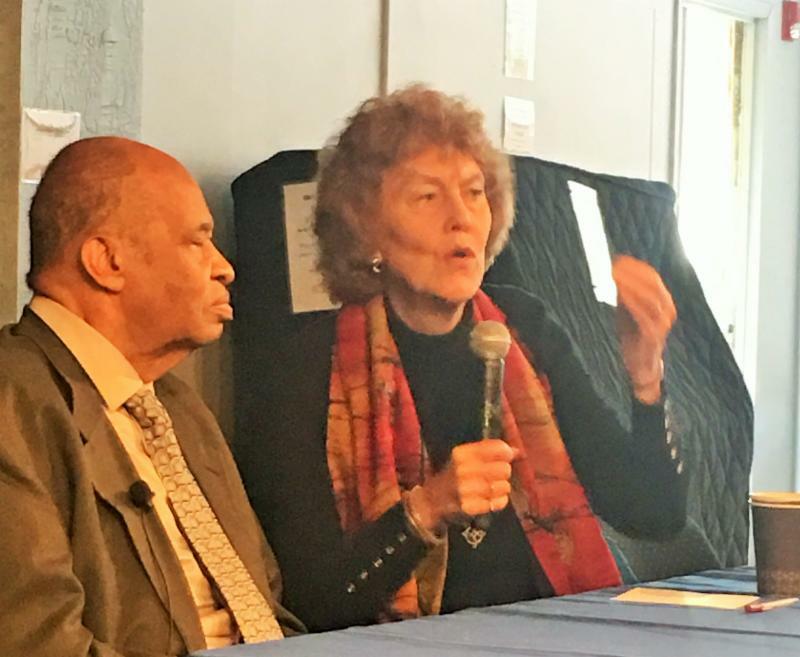 Carl Anthony and Mary Evelyn Tucker in conversation at the third annual Religion & Ecology Summit at CIIS. (View video HERE ). 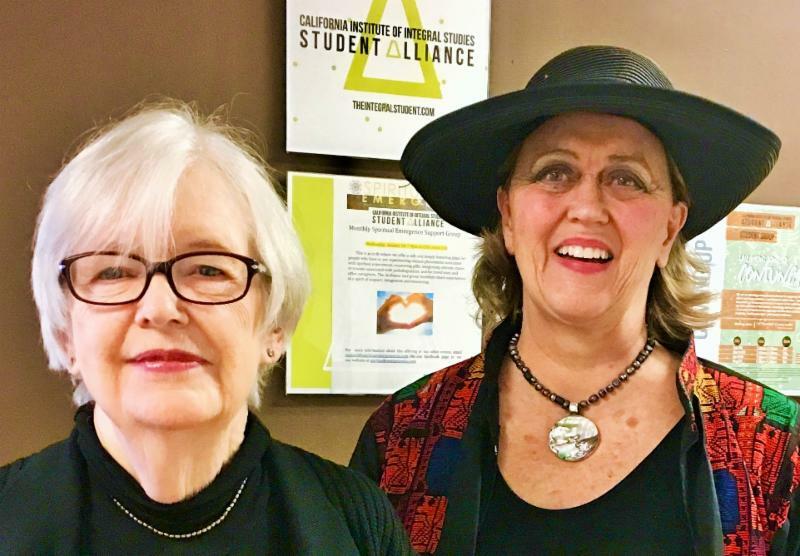 Susan Griffin and Paloma Pavel at the third annual Religion & Ecology Summit at CIIS. 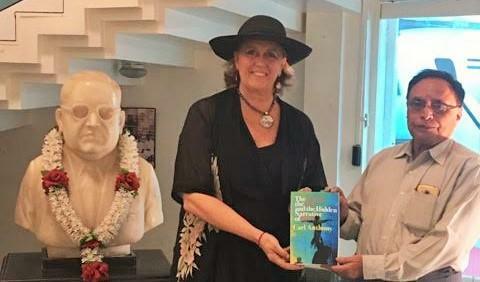 Paloma Pavel presenting The Earth, the City, and the Hidden Narrative of Race to the Dr. Babasaheb Ambedkar Museum and Memorial in Pune . Dr. Barry H. Rodrigue, Nobuo Tsujimura, Atsushi Nagaoka, Hirofumi Katayama presenting Big History Honwa, with Paloma Pavel in Pune. Villanova University in Philadelphia hosted International Big History scholars from many countries. Paloma Pavel, David Christian, and Richard Schulterbrandt Gragg III at Big History in Philadelphia. Paloma and Carl with Judy Wicks in Philadelphia. 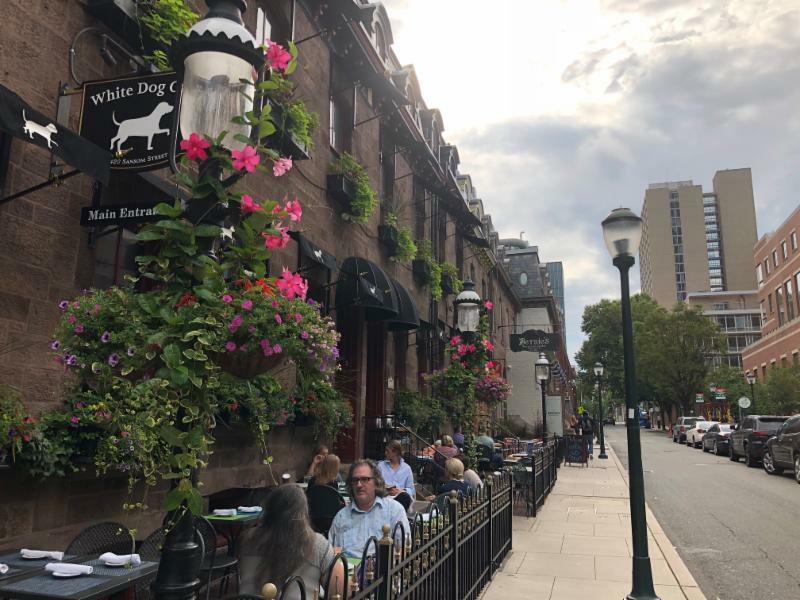 Judy’ s White Dog Cafe in Philadelphia helped launch a national socially responsible business movement. 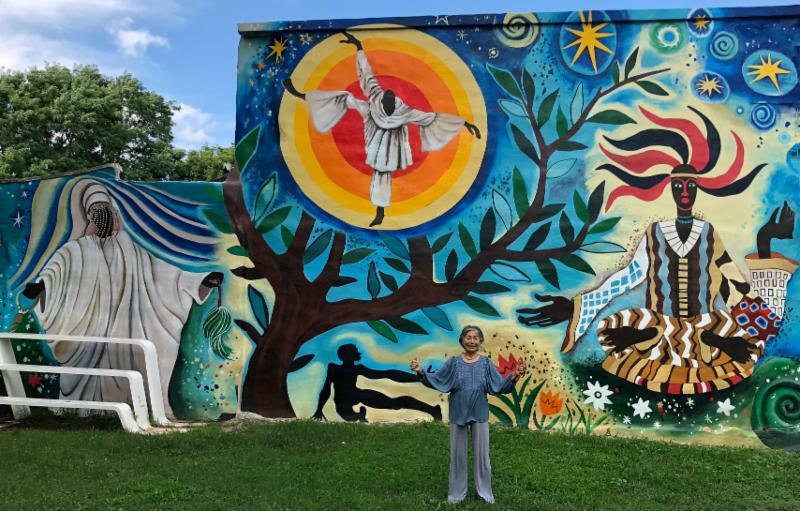 While in Philadelphia, Paloma had the opportunity to meet with renowned artist Lily Yeh, an unconventional changemaker for inner cities. Yeh founded Barefoot Artists, an organization that brings the transformative power of art to impoverished communities across the globe. 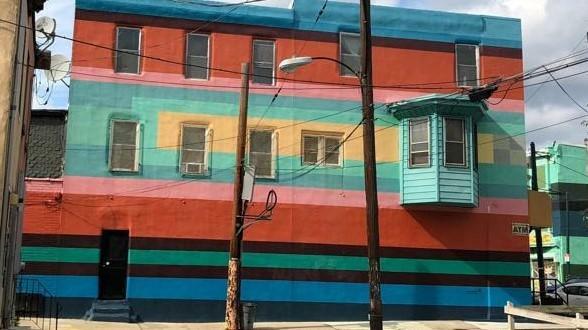 As founder and executive director of The Village of Arts and Humanities in North Philadelphia (see below), Yeh helped create a national model in creative place-making and community building through the arts. Yeh has helped launch arts projects countries all over the world, including Kenya, Ghana, Ecuador, Syria, China, Haiti, India, Taiwan, Palestine, and the Republic of Georgia. She spearheaded the Barefoot Artists Rwanda Healing Project, working with hundreds of children and families to transform a village of genocide survivors into a place of beauty and joy. Here’s a look at Breakthrough’s schedule for the remainder of 2018. In the spirit of ubuntu , we acknowledge you, our community, without whom none of this work exists. Please join us, and invite us to additional opportunities to build a sustainable world that works for all. Pictured are Carl and Paloma with Larry Greenfield (current executive director) and Mary Nelson . 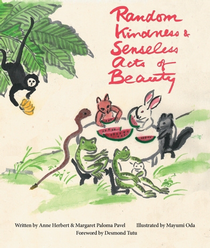 As Paloma prepares to travel to Japan, she looks forward to sharing the Japanese translation of the book she co-authored with Anne Herbert, Random Kindness & Senseless Acts of Beauty . The book’ s esteemed translator, Shuntaro Tanikawa, is one of the most widely read and highly regarded of living Japanese poets. 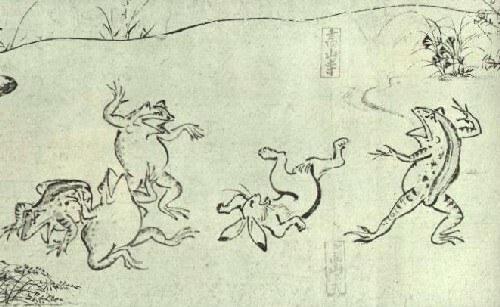 Mayumi Oda illustrated the Random Kindness book using the graphic vocabulary of the Choju-jinbutsu-giga (literally “animal-person caricatures”), a well-known set of four Japanese picture scrolls dating to the 12th century Heian period. The Choju-giga documented an early example of the resourcefulness of communities engaged in collective activism. Communicating through these picture stories, people who did not read or write were able to organize themselves in a r/evolution, and take back power in their communities. 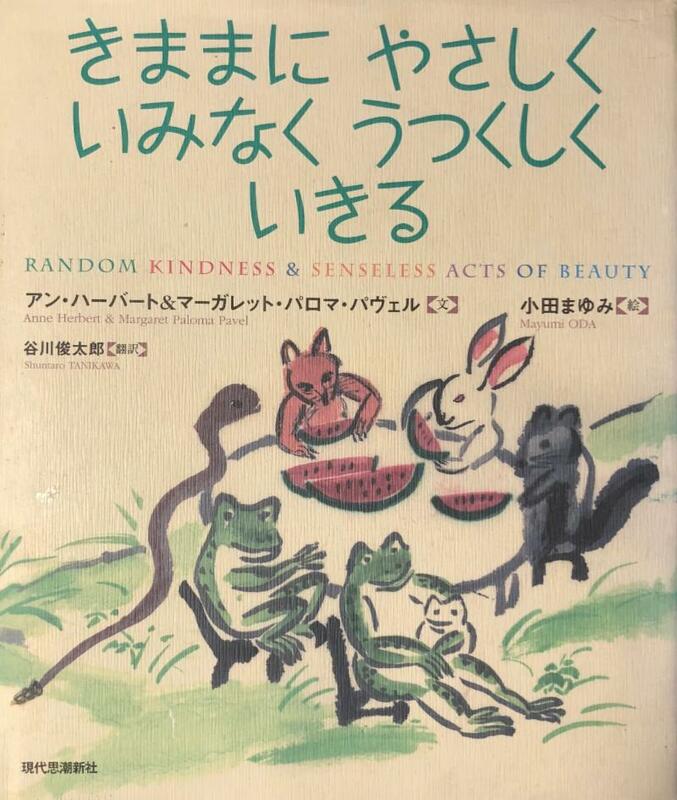 Random Kindness has been translated into several languages to date (Chinese, simplified Chinese, French, Spanish, Russian, and Japanese). We invite you, our larger community, to assist us in expanding the translations into all of the languages of our planet. 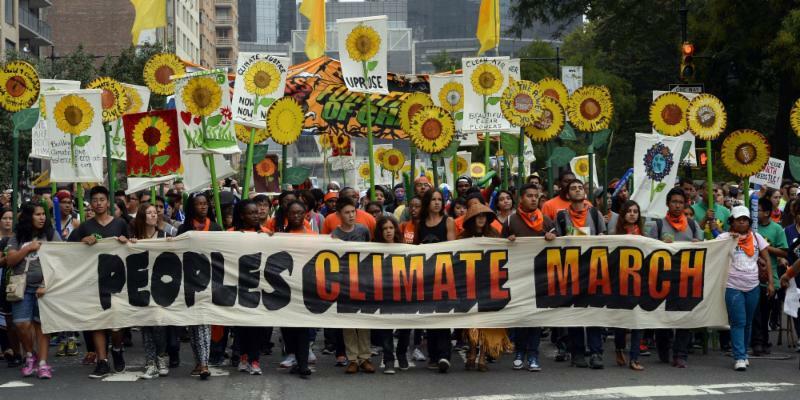 Please email us at EarthHouseAction@gmail.com to coordinate. Pass the word!